Is your brake light constantly on? Does the light come on when braking? The skilled technicians at AAMCO know that there are many reasons that may cause your brake light to come on. It can indicate several different issues within your braking system, all of which can affect your vehicle’s safety and shouldn’t be ignored, as few parts of your car, truck or SUV are as essential as working brakes. Your brake fluid is low. This could be an indication of a leak. Your brake pads are getting low. Many manufacturers include sensors in the pads which can indicate when the pads are close to the end of their life. When the pads wear down to a certain point, this sensor touches the brake rotor and triggers the light to come on. You may have an anti-lock problem with a sensor or a part. This could be dangerous and should be checked out quickly. and it’s just a matter of doing so. If you have driven far or often like this, you could have worn down the brakes and should get them checked to be on the safe side. The squeaking could be that your pads are worn down to the wear indicators and they are telling you to get the brake pads changed before you do damage to the rotors and calipers. The grinding could be that you waited too long and they are now metal to metal and completely worn out. Whatever the noise you hear when you push on the brakes, it’s important to get them checked to avoid creating any further damage. Pedal pulsations or vibrations are usually caused by a condition where the brake rotor has worn unevenly. This pedal movement happens because as the brake pads go in and out to follow the unevenness of the brake rotor, the pedal under your foot follows that movement. Usually this will necessitate replacing the pads and rotors. Another more dangerous condition could be that you have loose brake parts or a loose wheel. Get this checked out immediately. If you suspect anything loose, do not drive the car, have someone look at it before operating again. condition could be caused by a hydraulic caliper sticking, a loose brake part or even a loose steering or suspension part. This can be very dangerous and should be checked out immediately. All these conditions are generally created by leaking brake fluid. You may have a hose, line, or hydraulic cylinder or caliper leaking in the system and if not repaired immediately will eventually cause you to lose all braking. If your pedal goes to the floor or becomes soft or spongy, check the master cylinder reservoir to see if it’s low and have a professional take a look immediately. Avoid driving if possible. This condition happens when a hydraulic caliper has frozen in the applied position and will not release. This condition usually ruins the pads, the rotor and the caliper. Always replace them in pairs and change the hoses that feed the caliper. All parts, especially brakes, wear out over time. Delaying brake inspections and maintenance servicing could put you, your passengers and people around you at unnecessary risk. Like most automotive maintenance and repair problems and issues, the longer you put it off, the greater the chance for larger repair bills. 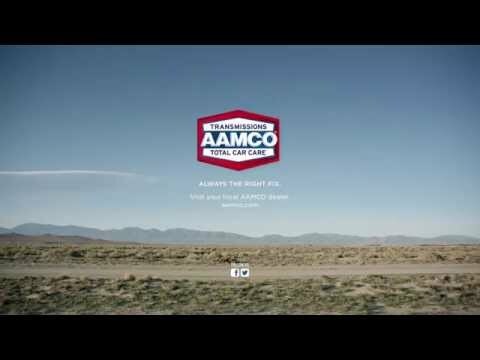 If you are experiencing any issues with your brakes, stop in or call your local AAMCO center today for an appointment. It’s important to have your brakes checked for any potential problems long before they ever stop you on the road. The skilled technicians at AAMCO will to help keep your braking system in good working order.